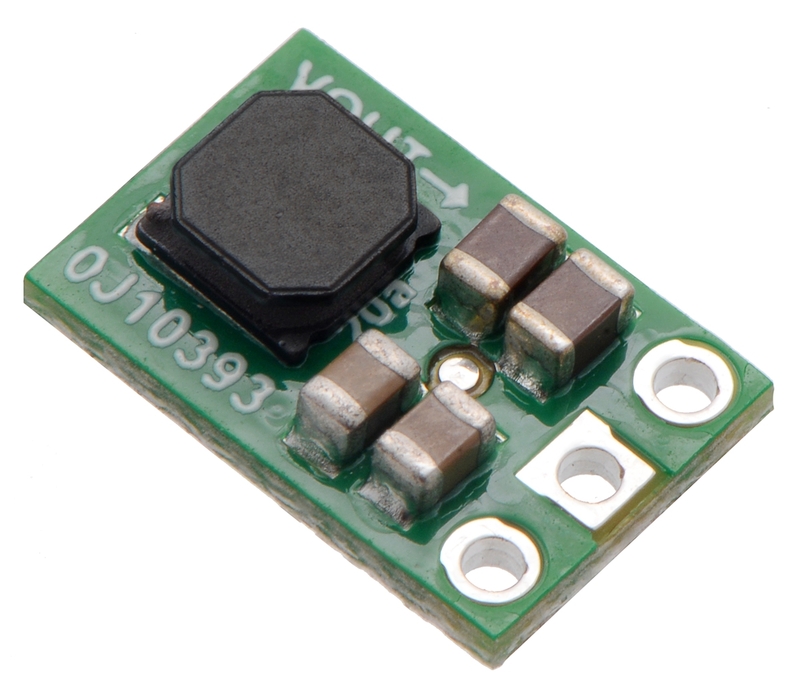 The Pololu step-up/step-down voltage regulator S9V11F5 is a switching regulator (also called a switched-mode power supply (SMPS) or DC-to-DC converter) that uses a buck-boost topology. It takes an input voltage from 2 V to 16 V and increases or decreases the voltage to a fixed 5 V output with a typical efficiency of over 90%. Note that this regulator requires an input voltage of at least 3 V to start, but it can operate down to 2 V after startup. Additionally, note that the startup current is limited to approximately 700 mA until the output voltage reaches 5 V; after startup, the available current is a function of the input voltage (see the Typical Efficiency and Output Current section below). 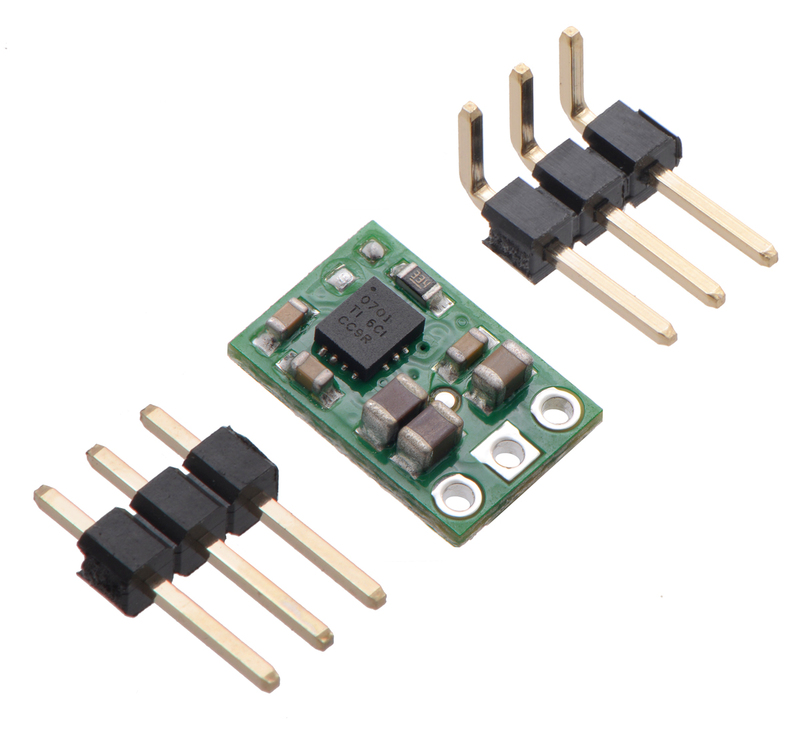 The flexibility in input voltage offered by this regulator is especially well-suited for battery-powered applications in which the battery voltage begins above 5 V and drops below as the battery discharges. Without the typical restriction on the battery voltage staying above the required voltage throughout its life, new battery packs and form factors can be considered. For instance, a 4-cell battery holder, which might have a 6 V output with fresh alkalines but a 4.8 V nominal voltage with NiMH cells and a 4.0 V output with partially discharged cells, can now be used for a 5 V circuit. In another typical scenario, a disposable 9V battery powering a 5 V circuit can be discharged to under 3 V instead of cutting out at 6 V, as with typical linear or step-down regulators. The regulator has short-circuit protection, and thermal shutdown prevents damage from overheating; the board does not have reverse-voltage protection.